You know when you just trot on with life and then you see someone elses amazing work and you think omg that’s amazing! I should be improving and more movited to create an exciting new range of products, but instead I am just trotting along in life, sitting on the sofa scoffing my face with ridulous amounts of chocolate eggs in the evening, after putting my daughter to bed. And now shes 14 months (I cant believe it either) she wants to eat everything im eating! So all naughties need to be eaten at night in the comfort of knowing I don’t have to share or the guilt of feeding her something bad because I cant wait to scoff my face until the evening. I know a little bit of chocolate wouldn’t hurt her but im extremely greedy and waking up at all hours makes me a bit sugar crazy! And YES I have been eating easter eggs since januarary, because you know what the chocolate is just so much better and I don’t feel bad about it, ok I do a little otherwise I wouldn’t eat them at the dark of night. Anyway I found this absolutely amazing jewellery maker called Elina Gleizer and her work touched my heart. I think I will be buying one of her fabulous rings soon! Her work just calls to be and I love it! You can see more HERE! My favourite is the owl and then the wolf, I just feel each piece has a soul and a powerful presents. RIGHT… cats, so for all the wonderful cat loving people I have been designing cat silhouettes, it was incredibly hard to pick what the cat should be doing – running, lying all snuggled up or just sitting. I went with the running/ walking cat and I’m not sure this was the right choice. Does it need to be a bit bigger / more sturdy? As it does look a bit delicate, it will be solid enough but is it me or does it look a bit weird? Am I having a self-doubt sort of moment? Questioning what the hell am I doing? Ow how I have fallen from my whale high! What do you think? Can the cats make it into the Etsy shop? Or is this just an epic CATastrophe or should I be more PAWsitive Ok sorry about the cat puns I just couldn’t help myself, this year of focus is already very testing. I’ve popped it up for sale on the Etsy shop but please let me know if it needs to be voted OUT? I have been lacking on the blogging front this year but I am upping my game grrrr! I’m going to really try to be creative and use my time well. Last year I am calling it a business write off, I was mainly on my maternity leave with the arrival of my beautiful baby girl and she was my work break and I just enjoyed every day with my little bundle of joy. But now I’m back to the work grind, only part-time but I want to really develop my business and be at home to enjoy every moment with my girl and work when she naps or just become a night owl. I don’t want to miss a trick and I want to be an inspirational mother who she can look up to. This year is THE YEAR OF THE ANIMAL and I’m going all out, I will be wearing bells an everything! After careful consideration, I feel I need to focus on my shop instead of getting distracted and giving everything a go (I feel I’ve created a shop of random items, which I just fancied making.) The year of the animal is going to be my shining year of FOCUS! 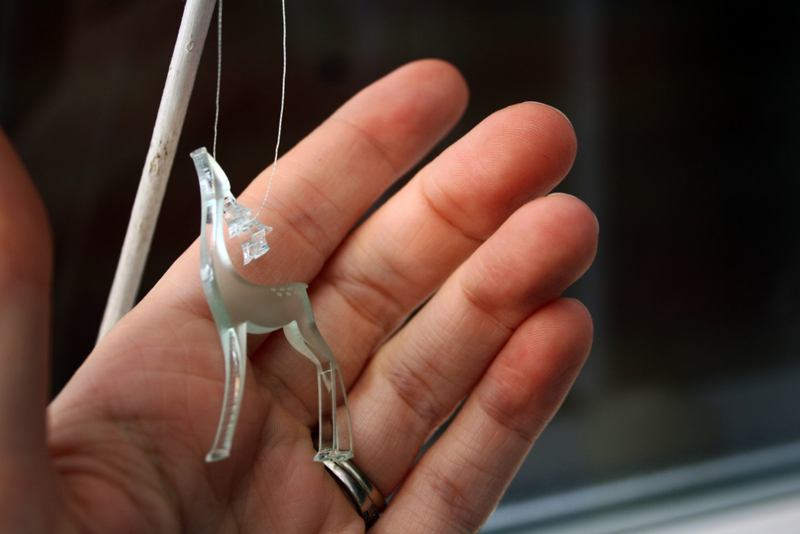 I will be making the tiniest range of hand sawn animal earrings, so watch this space! I want each piece to be a wonderful piece of mini artwork, a piece of my soul. Every item will be designed and sawn by my fair hand. I won’t make a mould and get a lot of castings, I want each item to be unique, and I want the love to shine through each piece. Ok so now I’ve made my weird handmade pledge I better get to work! If you guys have any idea of animals you would like to see just let me know and I will get making! Tonight I am testing out a new whale design and I’m excited. This year is just going to be AWESOME I can feel it in my bones. 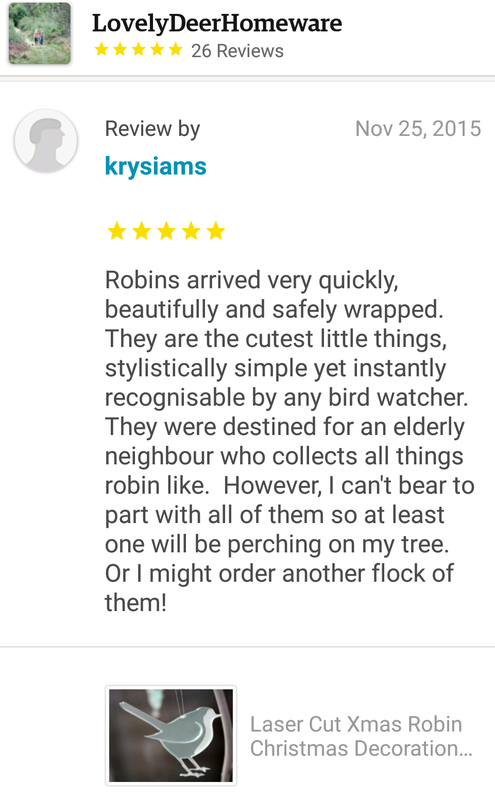 Today we received a couple of lovely reviews from a super lovely customer. It makes the designing an making of our Christmas tree decorations even more extra special. 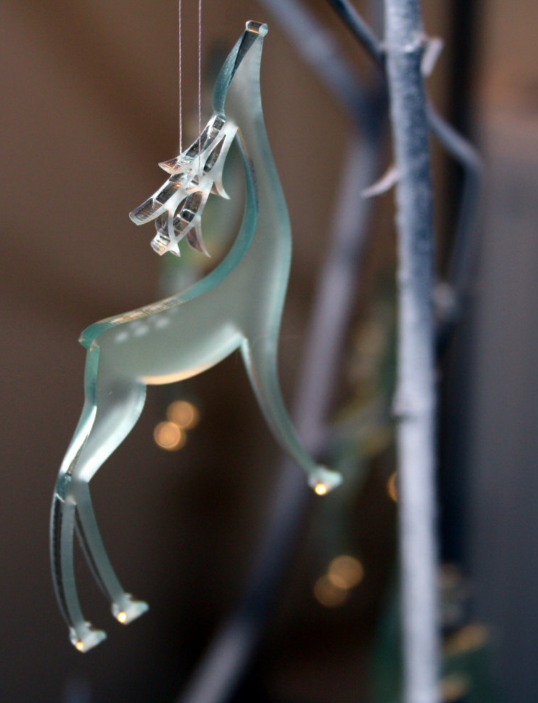 I design all of the decorations and they are made in England near the sea side in Brighton! What’s really lovely is they all have a glass effect but if one drops off the tree have no fear as they won’t break, so great for kids an grown ups alike. 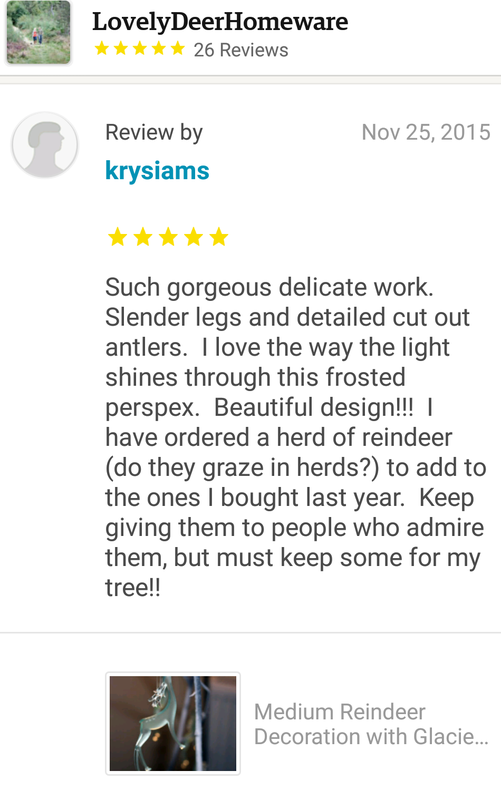 We love to hear from our amazing customers an so pleased to have so many lovely 5 star reviews. Visit our shop to see more here.